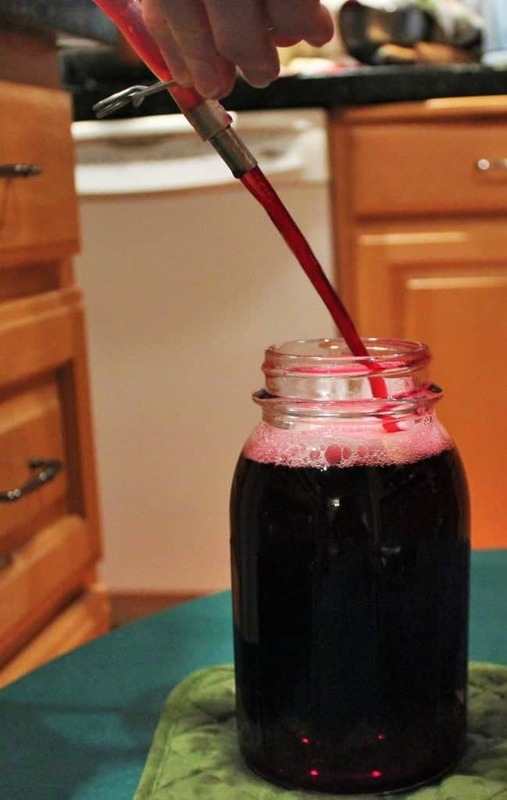 Homemade Grape juice made in a steam juicer from fresh grapes produces a full-bodied, flavorful grape juice. Delicious and so good for you! Grapes are full of antioxidants and other nutrients. Preserve them! Every year our enormous concord grapevine overgrows it’s Grape Arbor and crawls all over the roof of our 80-foot long shop. That old vine (It’s pushing 80 years old now) produces scads and scads of beautiful blue Concord grapes. For weeks we eat them fresh off the grapevine. We invite friends, family, and neighbors to come over and harvest from our huge grapevine. Ripening of the concord grapes heralds Fall. They need a good frost to get the sugar up in the grapes. Then it’s time to juice! Adults and Children alike crawl like spiders amongst those sprawling, tangled vines on the rusty low shop roof, filling buckets and their tummies. My steam juicer often goes home with them to help them make delicious homemade grape juice! It’s our TUESDAY IN THE GARDEN BLOG HOP! We are teamed up this week on topics concerning the harvest. What to do with all our wonderful produce? 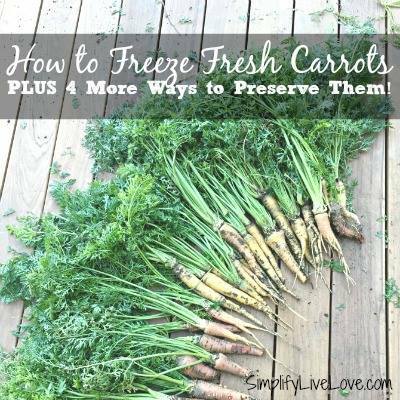 Click each blog linked at the bottom of this post to discover great preserving ideas! 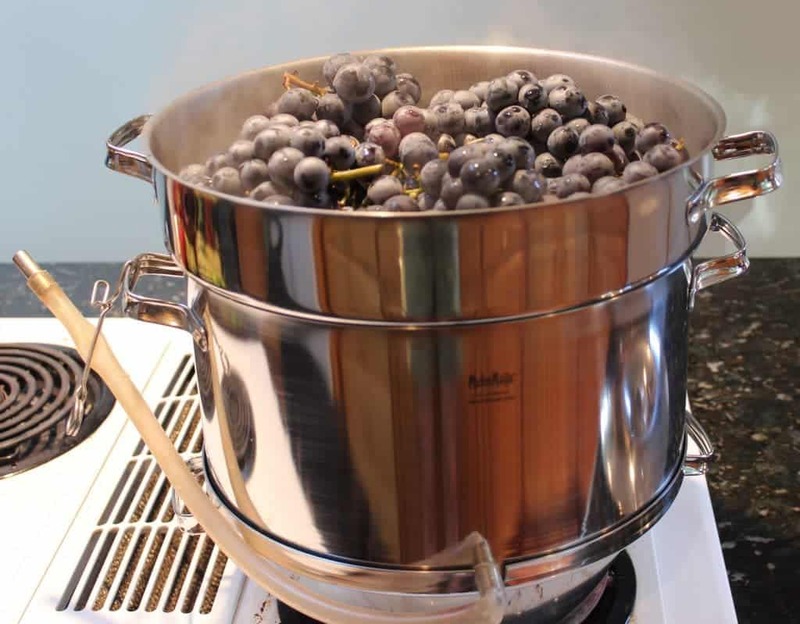 I have made homemade grape juice and MANY other fruit juices for decades using the steamer method described in this post using the Mehu Maija Steam Juicer. It provides an easy way to make pasteurized juices of all kinds. That said, The SAFEST way to ensure your juice is completely free of pathogens is to Water bath can the sealed jars after filling them. 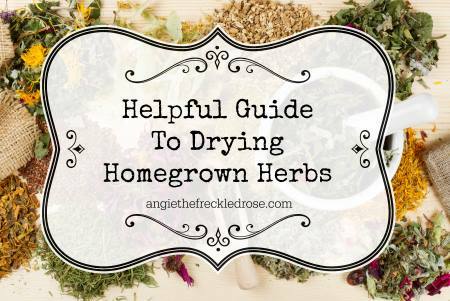 The complete free guide to home canning for all garden produce is available here. This guide is full of useful relevant and recent information to keep your home can products safe for your family. If you prefer not to use a steam juicer, strain your grapes with a cheesecloth. 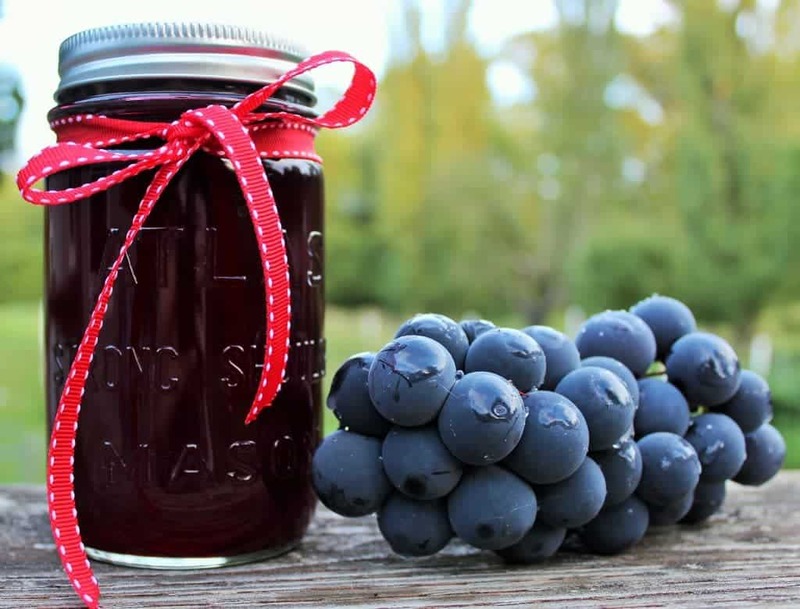 The National Center for Home Food Preservation canning guide will walk you through the entire process of making grape juice and give directions for properly, safely, canning it. Grapes are especially problematic with their thick skins to juice. Straining them through a cheesecloth is difficult and produces a lot of wasted grape juice. 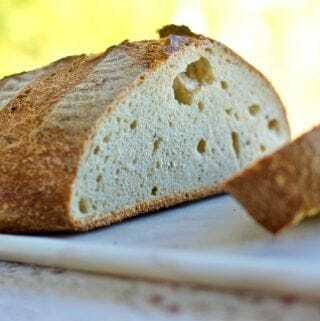 Ideally, you should use a steam juicer, linked below, and follow the method I outline for a truly easy method of producing a beautiful pasteurized juice with little waste. I have never water bath canned my pasteurized grape juice. But I highly recommend it in today’s world. We never heard of ecoli back in the day. But now many children and adults have contracted this horrible bacteria from improper handling and preserving methods. Better safe than sorry! I have tried the cheesecloth methods of juicing grapes. What a headache! I was thrilled to discover this steam juicer. Suddenly making huge quantities of grape juice for our large family became feasible. Steam would rise for weeks from my Mehu-Liisa 11 Liter Stainless Steel Steam Juicer – Made in Finland (Affiliate link); when we had a big family to feed. Gallons and gallons of delicious grape juice, full of anti-oxidants and other nutrients, traveled down into the cool darkness of our storeroom. We drank it without sweetener most of the time. Concord grapes, when perfectly ripe, are so sweet; no extra sweet is needed. Even our youngest children drank that thick, dark juice happily, just plain. Homemade grape juice is easily mixed into other fruit juices, like apple and pear to make amazing juices, syrup, and jelly blends. The wonderful thing about having a steam juicer. It’s So versatile in the kitchen. I have made juice from all my tree fruits from it. It also works great as a blancher or large steamer. Put a bunch of apples into the top, receptacle. Out comes a lovely Apple juice. In the steamer top, you have yummy applesauce or apple butter! This handy kitchen tool is just about the only way to get those thick-skinned Concord grapes juiced easily and well. In a steamer, you just load up the steamer top section with the grape bunches, stems and all. Heat the steamer and set the timer. Making juice from fresh grapes with a steam juicer makes sense. It pasteurizes the juice and gets the most juice yield out of your grapes. So good for you and your family. So delicious all winter long. Set your timer for 30 minutes and check the water level in the base. Don’t let it run dry! At this point, the hot liquid will often seal the jars. Now water bath the jars to kill any bacteria that survived the steam juicing process. Refer to the linked U.S.D.A. canning guide for complete detailed instructions on water bathing grape juice. TUESDAY IN THE GARDEN BLOG HOP! Please click on the links below to visit our other contributors. All of our gardeners are experienced in garden harvest preserving methods. They each have valuable information to share with you. Happy Harvesting! We love it too Jami. Nothing like it in the world! So healthy too! Our neighbors grow grapes the green variety and they always share grapes with us and I loan them our steam juicer to use. I make grape juice with my steam juicer and then use the pulp to dry into fruit leather. This way nothing goes to waste. I haven’t tried juicing apples before but I’m hoping to find a good deal on them to make applesauce and apple juice this year. Diane, it was so great to see your excellent post. 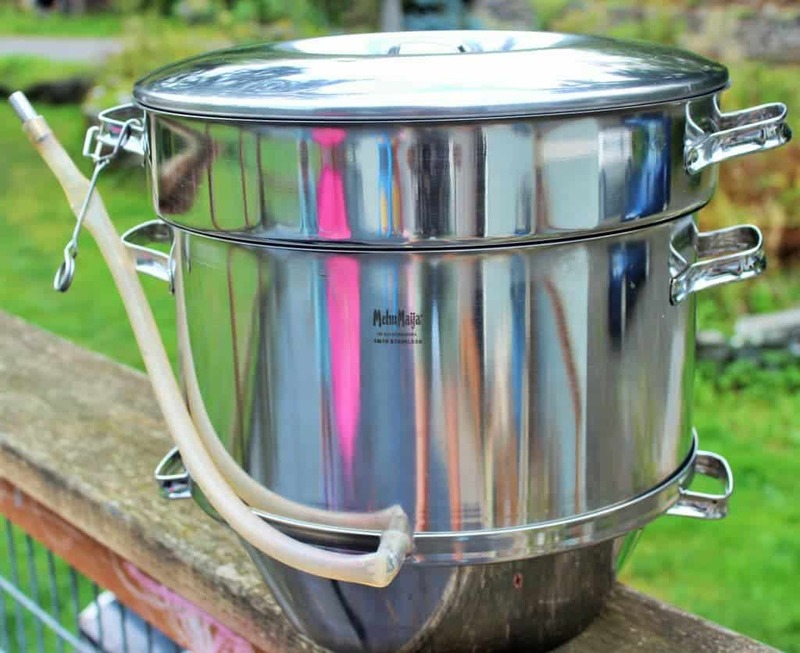 Thanks so much for linking to the Amazon product page for the Mehu-Liisa steam juicer. You probably know this, but the juicer pictured is a mint condition Mehu-Maija stainless steel steam juicer (from the 80s I would say). My father brought the Mehu-Maija over from Finland in the early 70s and built his business up over the next 30 years going door to door at hardware and gardening stores and tabling at housewares shows and town, county, and state fairs in the Northeast. I spent many hours with him watching him work his sales magic! And now, I am importing and distributing the Mehu-Liisa these many years later. Your juicer is in such wonderful condition. You must care for it very much. They were amazing tools (stopped production in early 90s) and the precursor to the Mehu-Liisa steam juicer which carries on the tradition of state of the art design and high quality construction. I love my Mehu-Liisa Steam Juicer! It made it possible for me to quickly and easily steam large amounts of my thick skinned concord grapes. I could not juice them effectively any other way. After I started using your amazing juicer I realized how handy it is for so many functions. Thank you and your family for continuing to provide such fine equipment to the home canner! This brings back memories! First though I have to say your steamer looks amazing, will have to look into that product. my grandma use to make her own grape juice and vinegar from concord grapes she grew in her backyard. she had an amazing vine.. making juice was quite the project and she did it all by hand. she lived to be 96 though and I often say it’s because she made almost everything from scratch. Enjoyed this and how awesome to share with others. Thank you Carole. I wish I’d known your grandma. That generation was a wealth of knowledge. I’d like to know how she made vinegar from concords. Awesome! 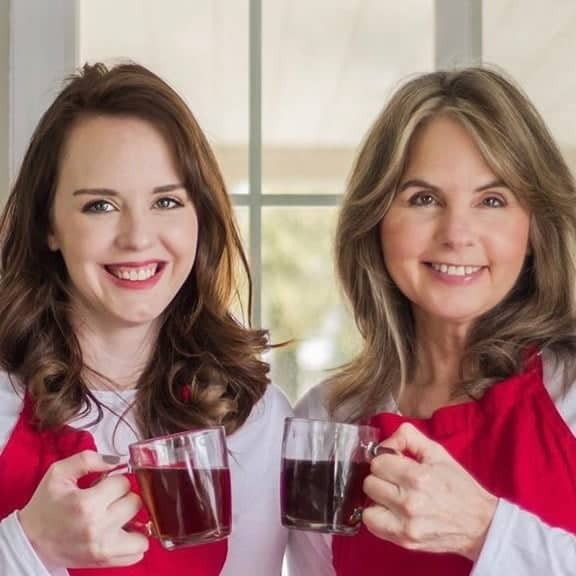 Love this homemade grape juice, I don’t have steamer with juicer, May I have to look it as my christmas present. Thanks for sharing with Hearth and soul blog hop, pinning. That steamer is SO useful Swathi. It would make you a wonderful gift. I have used mine for decades. Lots of uses other than juicing too.But I will say homemade juice is so fun because you can make your own combinations. One of our favorites is pear/grape juice. Pear apple is also really good! How wonderful to have such a prolific grape vine, Diane! 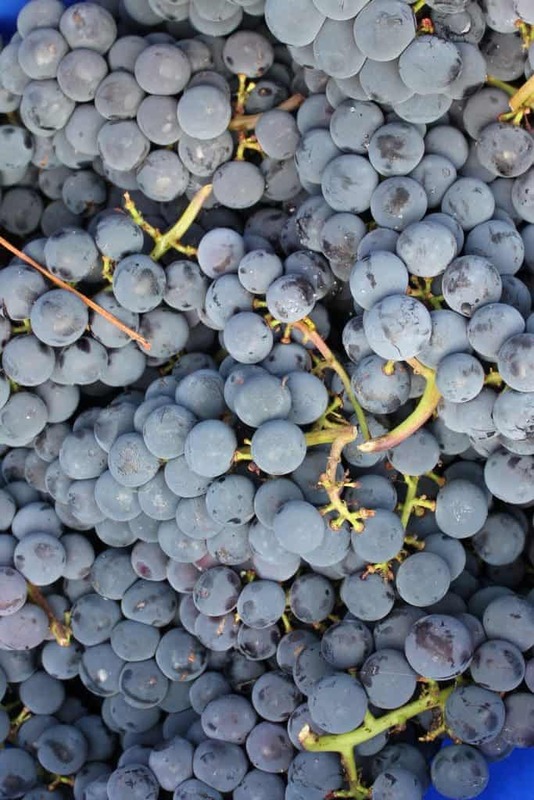 Your grape juice looks fantastic – such a beautiful colour! Shared. Thank you for being a part of the Hearth and Soul hop. Thanks for sharing with us at Wordless Wednesday #OMHWW. I love fresh grape juice and this looks so refreshing. Great Party Celeste! I’ll look forward to your next one! I was reading your article about making grape juice. My steamers arrives tomorrow and I am so excited as the grapes are waiting. It doesn’t appear that you water bath you jars with filled juice for canning, is this correct? I turn them upside down on a towel for a while.This allows the jar lids to seal. About half way to room temperature, I usually turn them upright and check the lids to make sure they have COMPLETED the seal. The button on the lid should be down. Let them cool all the way to cool before giving up on the seal. 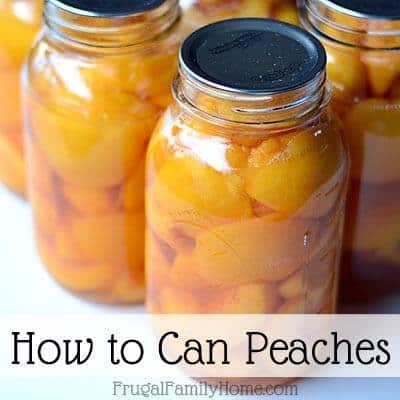 You may have to refrigerate a jar or two in every fifty or so and drink it right away. I’m not sure which steamer you have coming. Mine pasteurizes the juice as it steams. this is very important, so the juice stays safe in long term storage. If you steamer does NOT pasteurize the juice. You MUST water bath the jars for safety. So please read the instructions on your steamer. I have steam pasteurized my juices (many varieties) for decades without a single problem.I do know this is somewhat controversial. So do what you consider safe. Thank you for stopping by Kay! It’s so good to meet you! Yes you do want a steamer if you do juice, jelly and blanching on a regular basis. These steamers are so useful! Welcome to CNN! I’ll stop by your blog! The scent of the first run juice lingers with me after many years. Flavor exquisite …. I used to make plum and grape juice with the no longer available Saftborn Extractor. I’ve never heard of that extractor. Was it a steamer? Plum-grape juice sounds delicious. My favorite combination of juices around here is pear-grape.